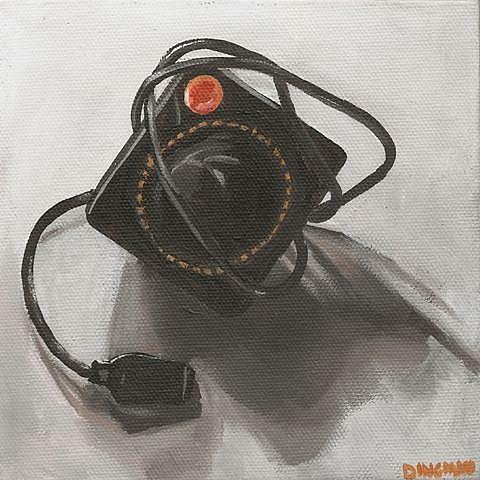 Another salute to vintage games, I thought it would be fun to paint an Atari joystick. The cord made some interesting tangles when I unfurled it, and I liked the pose. Trying to bring a little dimension into the black, lit from behind, was a challenge, but I am very pleased with the results.